In order to meet the expected quality throughout the manufacturing processes for energetic materials, not only the raw materials, environmental properties and process parameters must be analysed, but special attention should also be paid to the mechanical behaviour of these compounds during the successive manufacturing stages. The rheological properties achieved during mixing, extrusion and other forming processes, are considered a key factor to enhance the product quality, minimize the process variability and increase the system productivity. 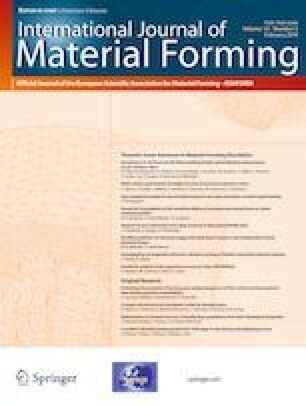 In this study, the manufacturing of a double-base propellant with 60% of nitrocellulose and 30% of nitroglycerin by means of ram extrusion was analysed, with the purpose of deducing the relationship between the process parameters and rheological properties of these materials. Different rotational techniques were applied to identify the rheological behaviour of these energetic materials. The results obtained reveal that these double-base propellants present a viscoelastic pseudo-plastic behaviour with high yield stress. The complex modulus is proposed as an indicator to optimize the manufacturing processes involved in the production of these energetic materials. This rheological modulus was proved to serve to explain the process parameters that must be assumed to enhance the propellant quality and extrusion productivity, such as the optimum values of ram velocity and extrusion pressure. The researchers acknowledge the support of the Spanish Ministry of Economy and Competitiveness and the European Commission (FEDER) throughout the INNPACTO research project “Smart Propellants” (IPT-2011-0712-020000), involving EXPAL Systems S.A. and the Universidad Politecnica de Cartagena (UPCT). This study was funded by the Spanish Ministry of Economy and Competitiveness and the European Commission through the ERDF (European Regional Development Fund), within the INNPACTO call for proposals, by the research project entitled “Smart Propellants”, with the grant number IPT-2011-0712-020000.